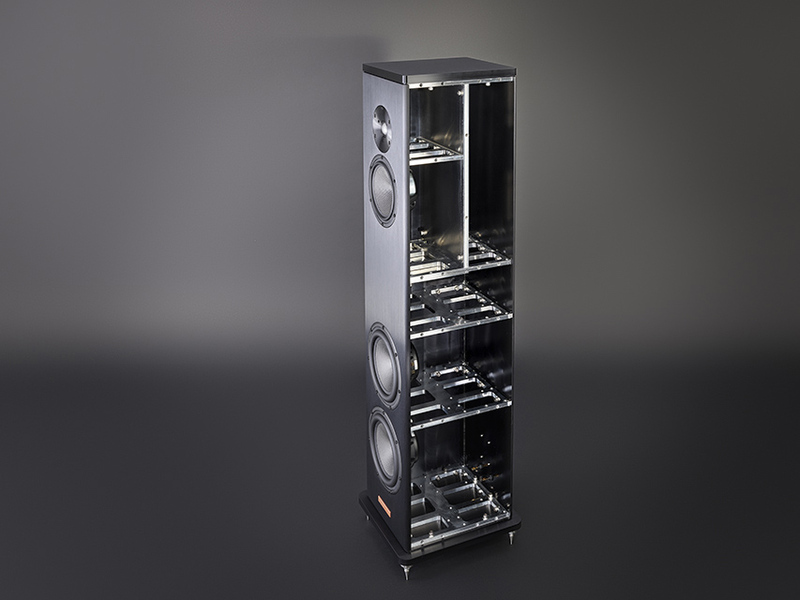 The A3 enclosure is formed with machined 6061 T6 aircraft grade aluminum and includes a complex internal bracing structure that increases the stiffness and mass of the enclosure while minimizing overall resonance. A calibrated sub-enclosure provides an optimized environment for the midrange driver to operate within and without any interaction from the back wave pressure of the bass drivers. 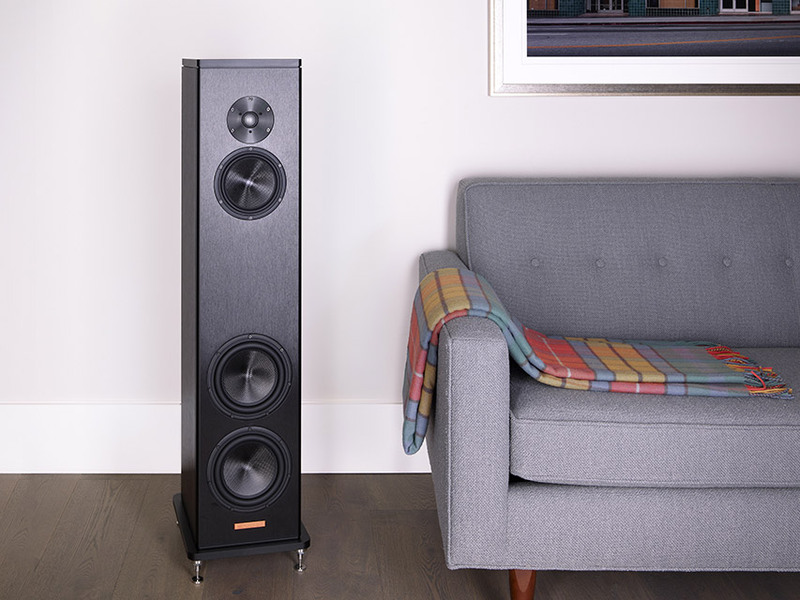 The black brushed aluminum enclosure is lustrous and stands firmly on a 4-point spiked outrigger base which provides perfect coupling to the floor for enhanced dynamic range. 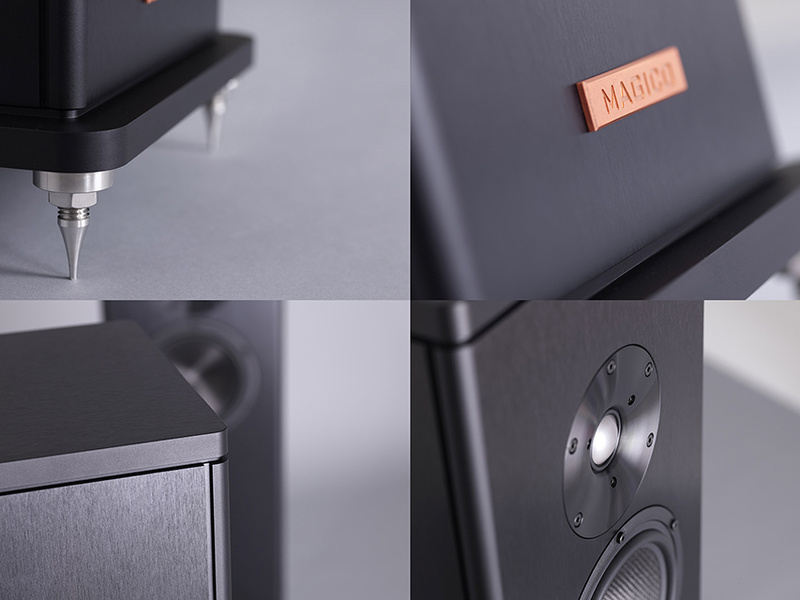 Extended high frequencies are provided by a newly designed Magico pure beryllium-diaphragm with an optimized 28-mm dome surface that is based on the fundamental design platform of the M-Project tweeter. 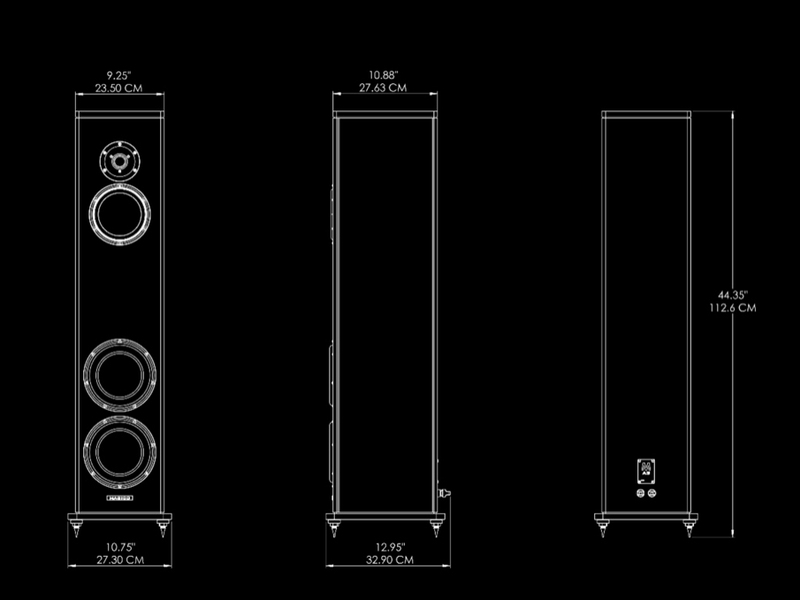 A customized neodymium motor system is encased in an improved back chamber with new damping materials which provide ultra-low distortion, higher power handling, massive dynamic capabilities and extended linear voice coil movement. 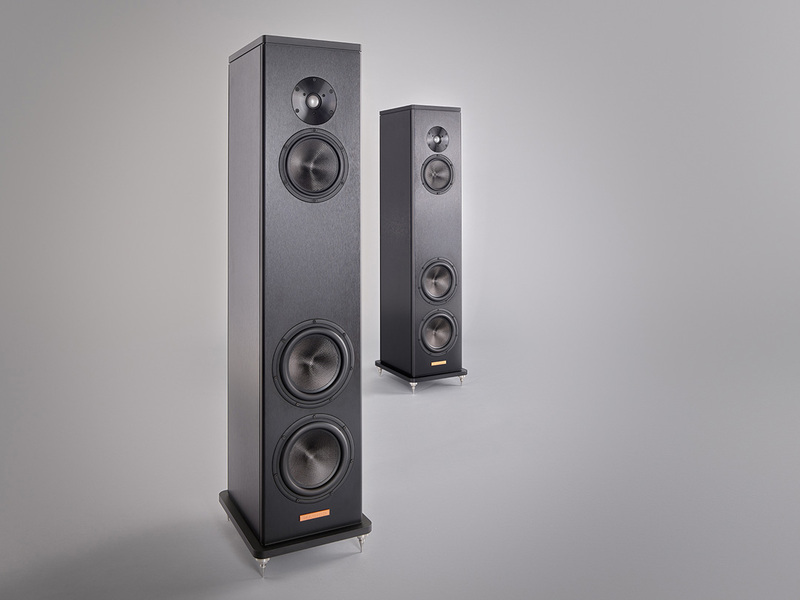 A newly designed Magico 6-inch midrange driver sets a new benchmark of measured performance in both frequency bandwidth and time domains. The cone material is formulated using Multi-Wall carbon fiber and a layer of XG Nanographene, which provides optimal stiffness to weight ratio with ideal damping properties. 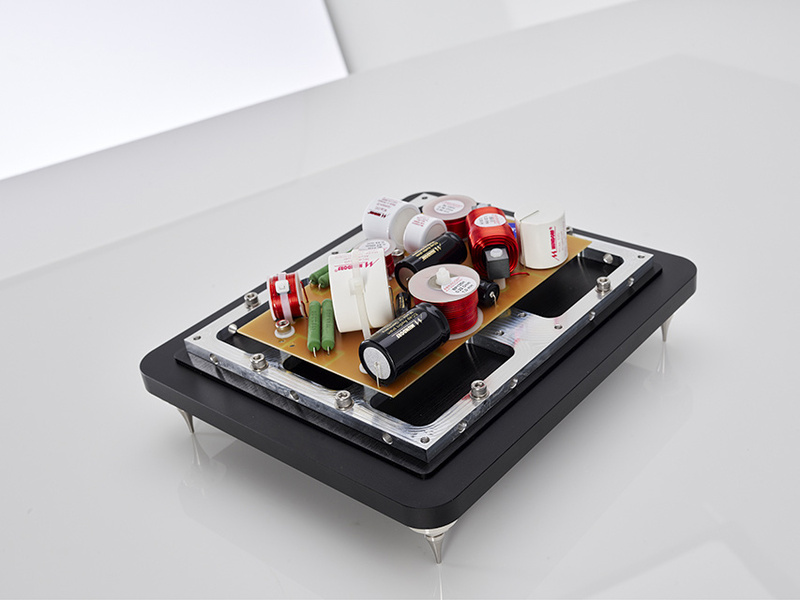 A new overhung neodymium based motor system incorporates extra-large magnets to ensure a stabilized magnetic field in the 75-mm pure titanium voice coil. All four drivers in the A3 are tested and optimized for acoustical, mechanical, electromagnetic, and thermal behaviors using the latest state-of-the-art Finite Element Analysis simulation testing equipment and are acoustically integrated using Magico’s exclusive Elliptical Symmetry Crossover topology that utilizes state-of-the-art components from Mundorf of Germany. The 3-way dividing network features a 24db per octave Linkwitz-Riley filter that maximizes frequency bandwidth while preserving phase linearity and minimizing intermodulation distortion. Grilles are optional and available upon request and under separate order.